19thc Treen Ladies Carved Shoe . C1840-60. 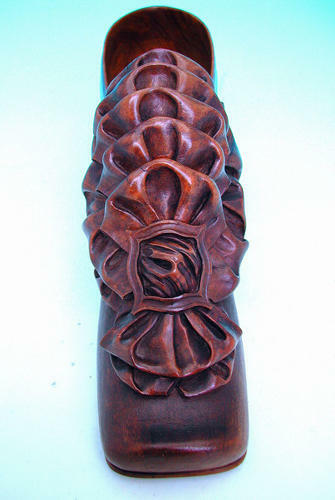 A superb mid 19thc carved Ladies Shoe, elegant shape decorated with elaborately carved ruffs held in by a buckle....all carved out of solid Olivewood.